La Palina premium handmade cigars represent a marriage of the finest tobacco leaves blended by master artisans. The blends are smooth and well-rounded, cigars of elegance and finesse. The draw is easy, the burn is even, and the construction is flawless: an unforgettable experience. Blended by AJ Fernandez for La Palina! Wanting to offer a new smoking experience, La Palina owner Bill Paley teamed up with Nicaraguan cigar manufacturer A.J. Fernandez. Together they developed the La Palina Nicaragua Oscuro, the first of its kind from the notorious cigar makers. The package has been redesigned with a black and gold band with an “LP” insignia replacing matriarch Goldie’s portrait. All the hard work has paid off and the Nicaragua Oscuro is a fine addition to the La Palina premium cigar profile. La Palina Nicaragua Oscuro Toro would make an excellent rotation in your humidor. 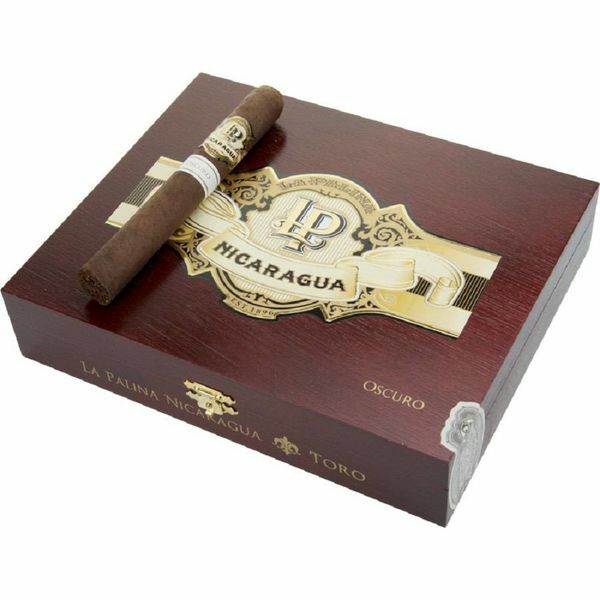 Nicaraguan long-filler and binder lay inside a savory, medium brown Ecuadorian Oscuro wrapper leaf. The medium to full-bodied Nicaragua Oscuro has notes of black pepper, roasted coffee beans, and a hint of sweet citrus. The cigar intensifies as it burns, but in no way becomes harsh on the palate. On a frigid winter night, a hot toddy or coffee would be a perfect pairing with La Palina Nicaragua Oscuro Toro. But on days when the sun is shining and it’s unseasonably warm, how about a refreshing rum drink? Keeping the winter season in mind, a spicy, herbal drink is a perfect accompaniment to your stogie. I bring to you an original cocktail from Nicaraguan rum producer, Flor de Caña. Happy Winter Solstice!